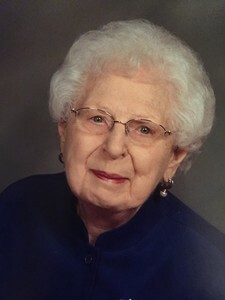 Virginia L. Nelson, 93 of Olathe, KS passed Friday Oct. 30th, 2015 in Fort Worth, TX. In lieu of flowers donations can be made to St. Mark’s Lutheran Church. Virginia was born Jan. 25, 1922 in Savonsburg, KS to Oscar and Rosa Johnson (Wedin). She married O. “Carroll” Nelson Sept. 25, 1943 in Kansas City, MO. Virginia worked as a medical records assistant with Good Samaritan in Olathe for 30 years. She was a volunteer for St. Mark’s and Olathe Medical Center. She moved to Keller, TX in April 2014 to be closer to her daughter, grandchildren, and great grandchildren. She was preceded in death by her husband in 1981 and her parents. She is survived by her daughter Cyndy Hornbaker of Keller, TX and her grandchildren; Lisa Ponsart of Warrenton, VA, Darin Foster of Amarillo, TX, Scott Foster of Valparaiso, IN and Angela Brown of Keller, TX, 2 step grandchildren and 16 great grandchildren. Add your memories to the guest book of Virginia Nelson. Cynthia, Sorry about your mother. I have fond memories of our shared years in Elsmore and so glad to have seen you at the school alumni gathering a couple of years ago. I want to share my sadness in reading about Virginia. She was a volunteer at Olathe Medical Center when I began working as the manager of Volunteer Services in 2006. Your moms sweet smile and demeanor will be remembered and missed. We enjoyed many conversations about you and your family, and I am glad she was able to be closer this past year.